Many people enjoy the trail systems accessed from Bear Lake. 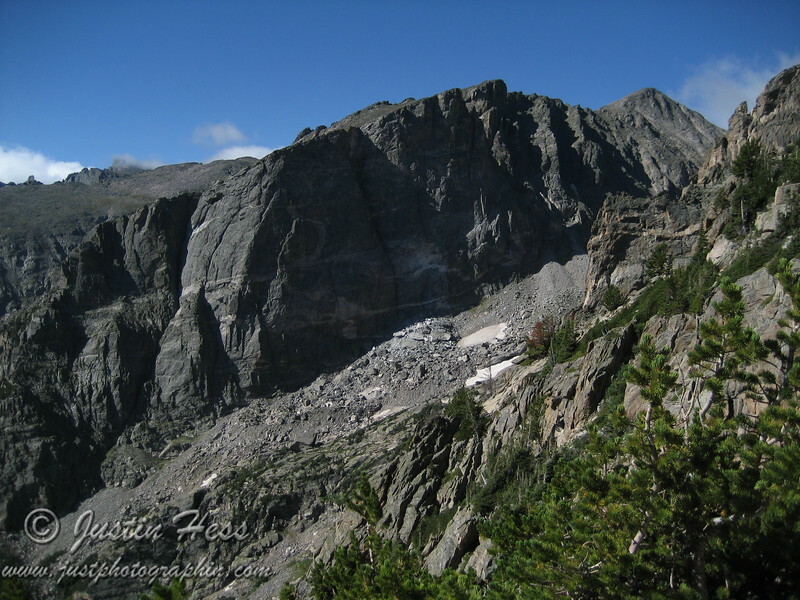 The trail to Hallett Peak begins with what one of my hiking friends describes as "the climb out of the Bear Bowl!" It is about a mile to the junction which heads off to the left to Flattop and Hallett peaks. This hike takes a hiker above tree line with views into the Glacier Gorge area. The Emerald Lake overlook gives a perspective of just how much altitude is gained. There is a plaque not far beyond this overlook reminding hikers to be cautious of every changing mountain weather as there is not much protection from lightning above tree line. The wind can also be a factor as it can often be fairly strong. We lucked out this day with a mostly sunny/partly overcast fair weather day. Hallett Peak is beyond the summit of Flattop and the trail is not necessarily defined except for cairns that dot the terrain along the way. While ascending, a few of the other hiking members told stories about how Hallett Peak is a difficult destination to get to, not because of terrain difficulty, but because of inclement weather conditions. Be wary of altitude sickness as well.